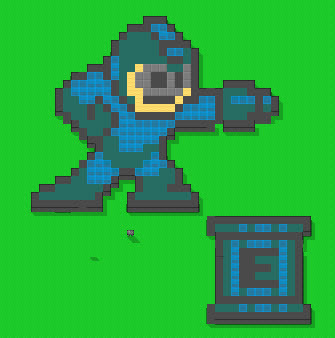 My name is Guigui as well as my avatar in the 8bitMMO game. 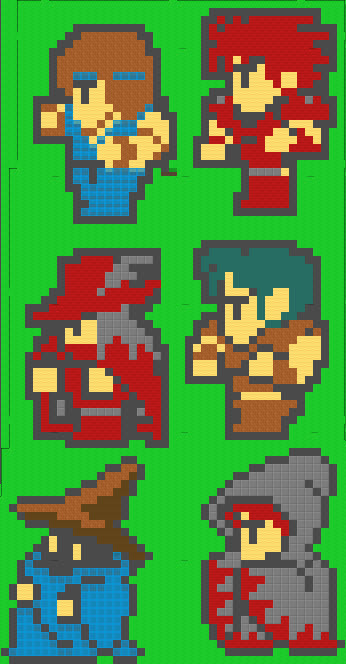 I'm quite nostalgic of 8bits and have been interested by this game. At the begionning I explored a lot the world of 8bitMMO, going to each limit E/W/S/N. Then I wanted to participate more to create this world. So I bought some plats to create my city and protect my constructions. I did not want to close my city with walls, I wanted it to be wide open to this world. That why when having created my city "Guiguiville" I have build some "higways" to connect it to the world, going East, North, and West (there were nothing worthing direct to South). I connected some existing roads, enlarged some, and join some cities too. The network looks satisfying to me and I have been glad to see that PsychoticSmiley did continue my road to the Far West with some cities along. Inside Guiguiville I started to build a "mountain" which is almost 250 pixels hich, a maze, and some other tries. I'm now working on my "stairway to heaven" which may be 6000 pixels high, a first floor to my town on 1000 pixel high... Yes I want to go high and higher, not keeping my constructions to close flat 2D and get more surface! The "real" hand has been updated by getting rid of this line in the palm. For your information it is made out of 779 blocks. Wow, that's a lot of blocks! Anyway it has been some work so I'll keep it. Maybe I'll have some ideas to make it evolve in a better way. I'll post a better picture when it works. It was promising until I get this message "Sorry, you cannot place a block here as this region is full"
Can someone tell me more about this message? Thanks! Thanks for this helpfull information about "region"! I've tried to destroy some adjacent blocks but they may not have been close enough to give me space... now I'll give another try with other blocks based on the same vertical fence. Sure thing - yeah, it sometimes is a problem when you have many floors. 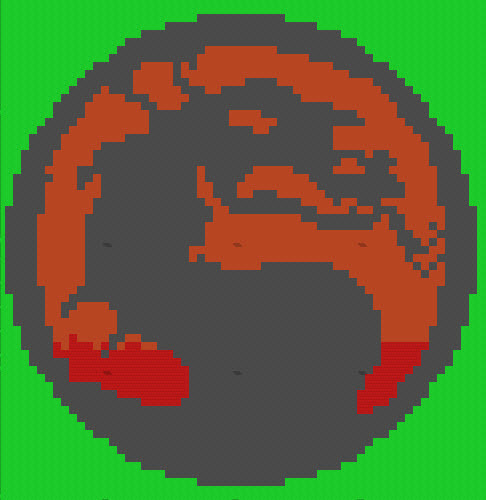 Mortal Kombat logo. Huuuge, 60 wide x 60 tall. Edited by psychoticsmiley, 23 August 2012 - 02:49 PM. Giant Bat symbol, and Huuuuge Batarang.